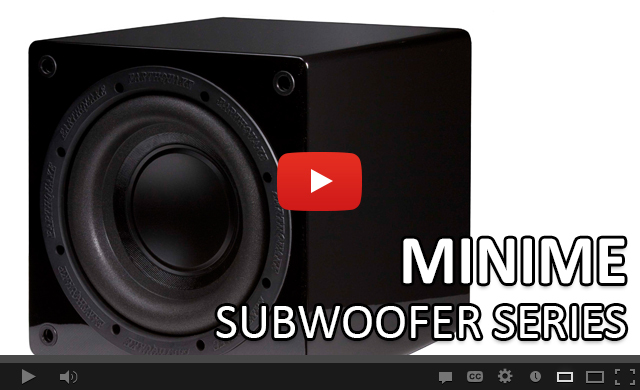 Minime-P8-V2 is a stylish and ultra-compact subwoofer with superb low frequency response. The powerful Class D amplifier coupled with the patented SLAPS passive device enables MiniMe-P8-V2 to reproduce frequencies down to 27 Hz. MiniMe V2 is covered in deep luxurious black piano lacquer. The cabinet finish begins with a thorough sanding and priming followed by multiple applications of black lacquer with additional fine sanding between layers. The cabinet is then finished with a smooth, high gloss clear coat. The elegant piano lacquer complements its compact modern design and in a sculptural way adds finesse and exclusivity to your home. 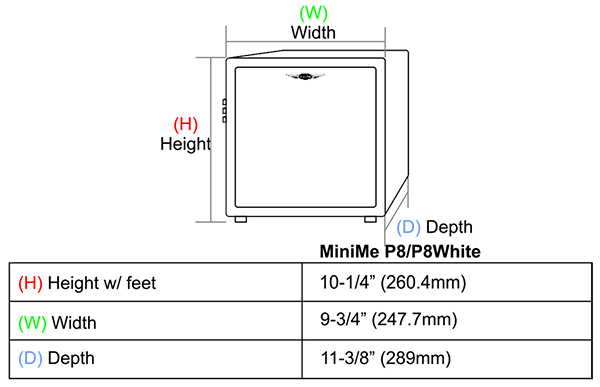 MiniMe-P8-V2 is equipped with an over sized 320-watt Class D amplifier. The advanced Class D technology has an efficiency of 90% which means that the amplifier does not get hot even with hard and continuous operation. 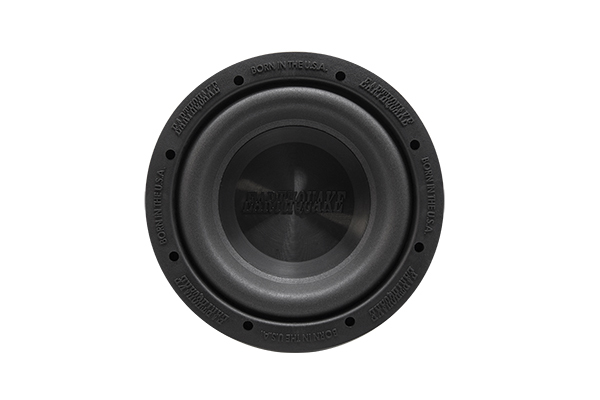 Earthquake's unique Evolved Class D design is distinguished by high performance and superb bass control. Even the most complex source material is reproduced articulated and precise. 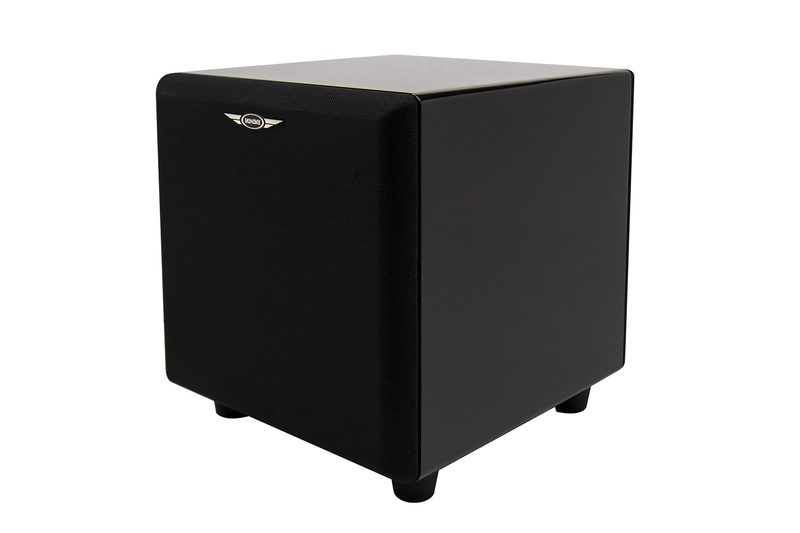 SLAPS is how the ME320-V2 amplifier's high performance can be translated into dominating LFE. 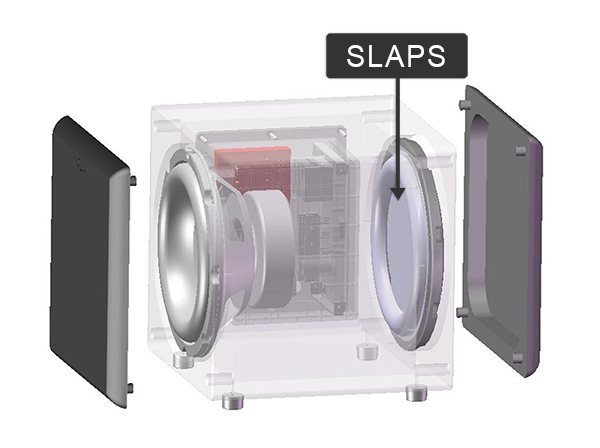 SLAPS is a patented system that dramatically increases subwoofer efficiency and capability for ultra low frequency reproduction. The amplifier output section is built around Earthquake's Evolved Class D amplifier technology. It uses an efficient and base-optimized switch-routine yielding unusually powerful control over the high-emf XLT woofer. The amplifier is equipped with four high ampere discrete switching devices for high and continuous current.